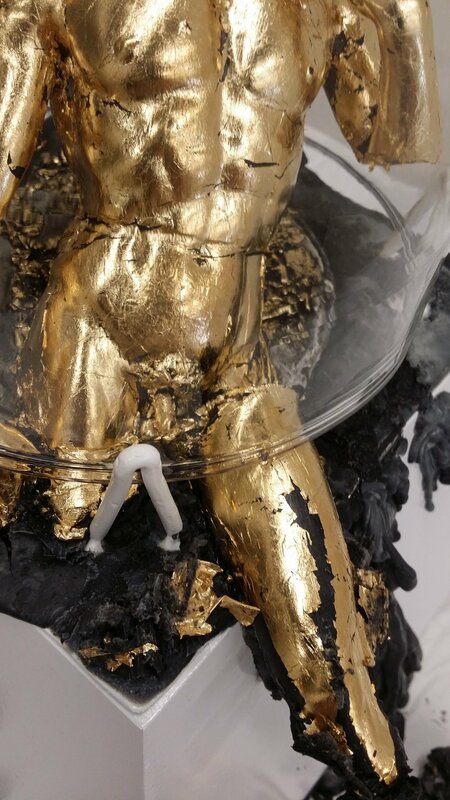 In this piece, a gilded reproduction of Michelangelo’s David is placed inside of a display container and mounted on a plinth. Over the course of its display period, the reproduction degraded, until the whole sculpture melted out from under the case. 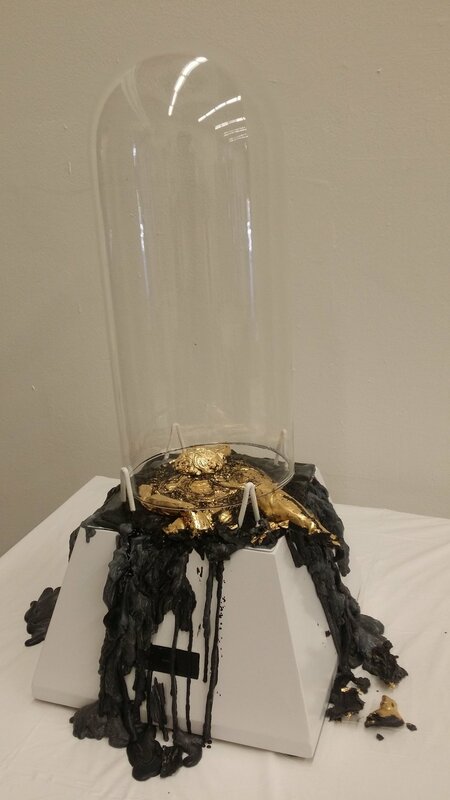 This action was triggered via a proximity sensor that would activated a hot plate located in the base, causing the gilded black wax to slowly melt as more viewers came to observe the piece.